Did you catch these references? Ezra Koenig’s hilarious new Netflix animated series Neo Yokio thrives as an anime parody, riffing on everything from classical anime tropes to the upper echelon of real-life New York societal elites. You could call it something like Bleach meets Gossip Girl. With that in mind, you can’t deny the influence that various anime has had on Vampire Weekend’s Ezra Koenig. He’s infused his bizarre magical metropolitan story with enough anime references to fry your robobutler’s circuits. Here are the six best anime references in Neo Yokio. Kaz Kaan charges up an energy blast. 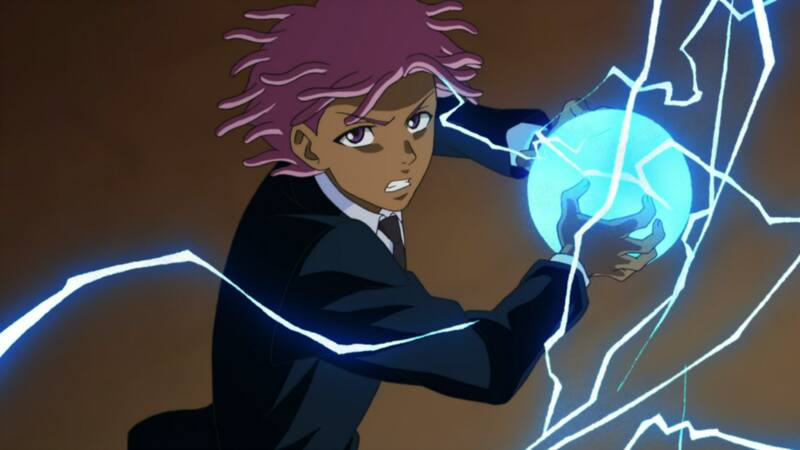 The popular image all over the internet for Neo Yokio shows Kaz charging up some magic energy to shoot at a demon. This sort of maneuver is ubiquitous in too many anime to count, with perhaps the most glaring example coming from the likes of Goku’s Kamehameha waves in Dragon Ball Z.
Charles is Kaz's primary mode of transportation. Androids and other kinds of robotic servants and companions pop up in tons of animated series, anime and otherwise. Remember Rosie from The Jetsons? Anime like The Big O and Darker Than Black also employ robotic humanoid female companions, but the model for Charles looks decidedly more like an old-school Transformer or other kind of mecha anime. With his accent and demeanor, he also fits squarely into the “Jeeves” mold of British butlers so common in genre stories. Sailor Pellegrino has the singing voice of an angel and the speaking voice of a country bumpkin. The pop star Taylor Swift knock-off that’s revealed to be a demon has a look that’s straight out of Sailor Moon, and her name makes it even more obvious. To top it off, she also has a black cat just like Sailor Moon. Tuxedo Mask(s) even has the top hat. Just to hear the term “Tuxedo Mask” is another direct reference to the male vigilante from Sailor Moon, whose name is somehow “Tuxedo Mask.” It helps that Lexy and Gottlieb also wear the top hat also worn by the character. This type of facial accessory is used in various other anime as well, with creepier variations popping up in Tokyo Ghoul or Darker Than Black. 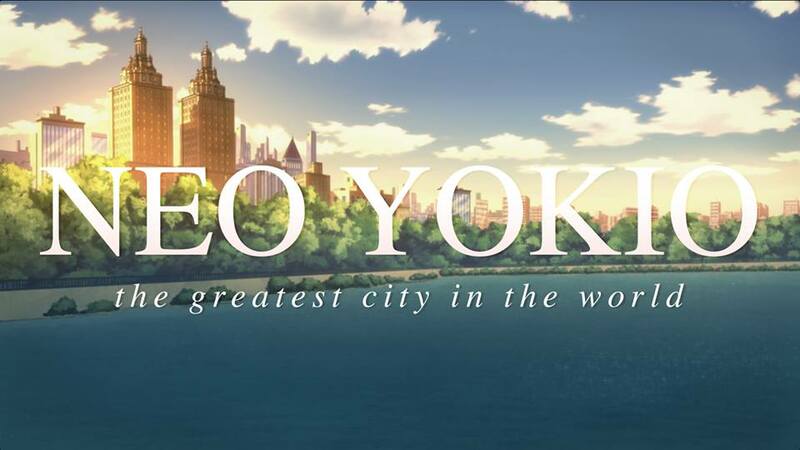 Neo Yokio is marketed as the greatest city in the world. Akira, a classic touchstone for anime, is entirely set in the metropolis of “Neo-Tokyo” which is a futuristic version of regular Tokyo. Inexplicably, the city of Neo Yokio is actually a New York City of the future that’s largely sunken underwater or otherwise modified for a new age. Gender transformation and panda people makes this one pretty obvious. In Ranma, a cursed boy transforms into a girl whenever he’s splashed with cold water. There’s also a big panda. 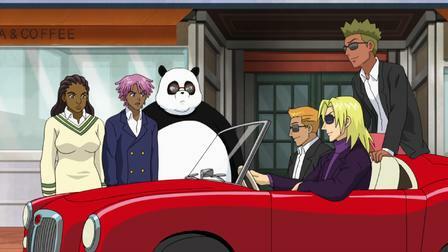 In Neo Yokio Episode 4, “Hamptons Water Magic” a nearly identical subplot emerges when Lexy is transformed into a woman and Gottlieb into a giant panda. Neo Yokio is currently streaming on Netflix.